Yeah I don't remember it being particularly entertaining, and it was pretty different from the books. I mean, they named it after the second book, but it clearly doesn't take place there because there are other people and, like, an actual town. But yeah, I never really found it interesting enough to watch, and even if I did watch it my the-book-is-always-better-than-the-movie bias would probably carry over anyway. I want to know your thoughts on it. I thought it was very dry and not the most entertaining TV show ever. Agreed, read as "most notable example since..."
Edit: I was wrong, you were right, I can't read, I am sorry. I am currently reading Slash's Autobiography. First Man In by Ant Middleton. Really good book, and I’ve adopted some of the lessons. Tremendously entertaining book. I love autobiographies, and that is probably the wildest one I've ever read. It's a great book. I am re-reading it as well as abunch of other book on Guns N' Roses for research on a project I am working on. If you love autobiographies and you liked Slash's book then I highly recommend Duff's book It's So Easy (And Other Lies) as it is another great autobiography. I'm rereading The Sky Is Everywhere by Jandy Nelson. Pretty good book, but nowhere near as good as I'll Give You The Sun. Oh, and the main character's name is Lennon. I'll Give You The Sun is amazing! And one of the main characters is named Jude. I almost got to meet Jandy Nelson once time but it didn't work out. W.A.R. : The Unauthorized Biography of William Axl Rose by Mick Wall. A guy stranded in the ocean for 438 days, having to survive insane conditions. Good read. Just finished Maus by Art Spiegelman. 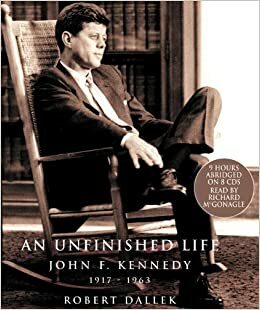 You want a definitive Kennedy biography- this is the one for you. It's about 700 pages in total, I'm on page 470ish and still in the first-half of 1961. Only a couple pages in but I like it so far. Only problem is I can't listen to music while I read it because I need to concentrate on not missing the many many many little bits of information stuffed into every sentence. I've read 4 books between now and Kennedy as I'm trying to get through the 60ish unread books on my shelves before I have to go back to Germany next month. I just....the first 100 pages were good but after that....his writing is so pompous and self-indulgent, y'know because he's Morrissey's he doesn't have to use paragraphs or chapters like any ordinary pleb would. He's constantly bitching about The Smiths' record label and a bandmate who sued him. It was years ago mate build a bridge and get over it. Anyhoo, I'm going to read about 200 pages in around an hour tonight, and hopefully move onto something better. I think it's the 2nd worst autobiography I've read, just higher than Dylan's Chronicles Volume 1 (I'm sorry RN!!). My next read is the James Dean: The Mutant King by David Dalton. Gotta agree with you on Moz's book. So self indulgent, it's pretty hard to read and he goes on and on endlessly about stuff that isn't very interesting at all, like him designing the covers for single sleeves, chart placements and court disputes. Left me profoundly disturbed after the first time I binge-read it in about three hours before going to bed. Would not recommend that particular experience.